Determining the business drivers for migration is quite difficult and potentially is an important area of the migration assessment. Fixing existing problems and change requests are specific to each implementation and are not discussed here. Note that each of these areas must be carefully considered as they might introduce an additional cost. The ultimate goal is to achieve a balance between business benefit through improved functionality and cost. The technical drivers for the migration are easier to determine. 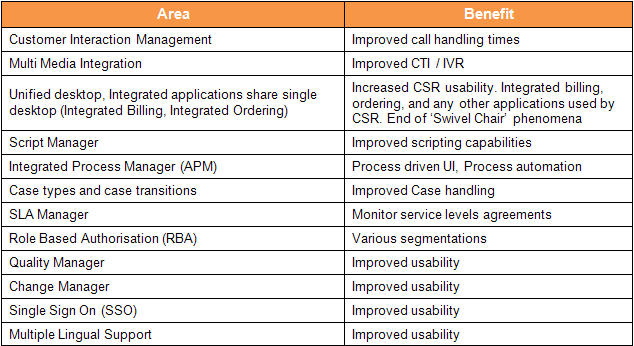 The following business drivers’ examples are specific to each implementation. The migration assessment itself should be performed by both IT and the Business community to fully understand the current CRM implementation. All interfaces, client side and server side, existing and possibly new. Sizing and usage metrics; number of users, number of calls, database size including projected growth. The level of customisation of the current solution. Identify unused customizations not to be migrated. Current CRM implementation usage within the business, workflows and processes. Map existing implementation to the Smart Client OOB functionality, identifying gaps. Areas for improvement within the business in terms of business processes usage. Coexistence has the potential to allow us the flexibility to phase a migration, thereby reducing the risks associated with a big bang approach. This may be useful where there are significant numbers of users making the impact of such a major project particularly noticeable. While on the surface co-existence is an attractive option, it often proves to be difficult to achieve, due more too organizational issues than technical ones. The following section discusses the technical aspects of coexistence but does not discuss the organizational difficulties. This is covered in the section on phasing the migration project. Note that as of Amdocs CRM release 7.5.2 coexistence is limited due to the multilingual capabilities introduced in this release, which are not supported by Classic client. The simplest way to coexist is to have a mixed user community where one group uses the Smart Client application and another uses the classic client application. For example; CSRs could be using smart client CRM Support while the Sales departments are using Classic’s ClearSales. Complexity is increased in this scenario where workflow objects must be passed or shared between these two groups. The CIM (Customer Interaction Manager) data model had been completely changed from its Classic predecessor. Classic’s ClearCallCenter uses table_interact, Smart Client uses table_intrxn and several other new tables (i.e table_topic). Smart Client provides enhanced Case Types support, where each case type can be related with unique Case form and unique tabs arrangement. Classic client provides very limited case types support. The Classic Case Types are not related with Case forms or tabs. Smart Client monitors Case transitions. Case transitions are not supported by Classic client (Classic client does not monitor Case transitions). This might lead to a dead lock if a case status changed in the Classic is not valid in the Smart client. Smart Client manages Service Level Agreements (SLA). SLA management is not available in Classic Client. Any custom SLA implementation needs to be manually converted to the out of the box product structure. Smart Client script manager uses APM (Amdocs Process Manager) light (client side) process. It is completely different implementation from its predecessor CPM. APM script editor contain import utility which allow importing and conversion of CPM scripts to APM scripts. Same as Cases – status transition maps can be out of sync changes in one application, therefore leave a CR in an unknown state in the other application. Task Sets and Definitions in the Smart Client application must be manually recreated. 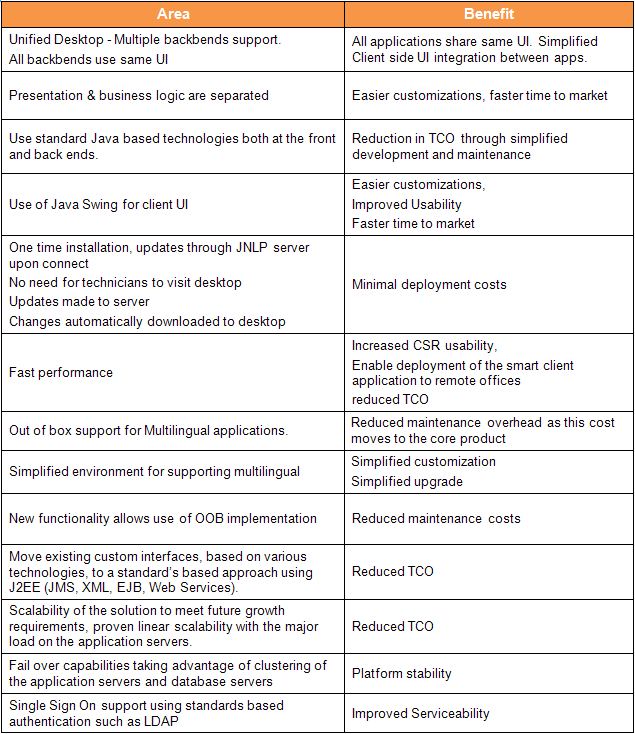 Current product version, Current OS, Current DB version, CRM Modules deployed, CRM Modules used. Future business plans, additional requirements. Call Centre Data, User profiles – total, total concurrent, team structure, who uses which applications. Source code control system as well as all relevant documentation. Key business users to provide an overview of actual application usage. IT personnel familiar with the CRM implementation: technical architecture interfaces etc. These groups need to provide a thorough overview of the architecture as well as any constraints to be placed on the Smart Client Application. The migration assessment team should at least be comprised of a Project Consultant, Technical Consultant and Business Consultant. Depending on the planned time scale and current implementation complexity, additional technical resources may be considered. The Project Consultant should lead the migration process and take overall responsibility for project delivery. This includes transforming project goals to realistic executable plan, orchestrate the allocated resources, and track and communicate execution progress to management. The business consultant is responsible for understanding the implementation from a functional perspective. This information enables the identification of any functional gaps between the current implementation and the OOB Smart Client applications. The information can also provide recommendations as to how the OOB product functionality can be used to replace or improve existing functionality. It is essential that the Business Consultant be knowledgeable in both Classic and Smart Client applications and the proposed phasing of the migration as well. He should be able to identify new Smart Client functionality that can replace existing customizations. Conduct current implementation review workshops. Identify and document functional areas currently used as well as potential areas for future use. Identify and document used business processes and workflows. Produce recommendations regarding how to leverage new product functionality. Understand the business use of the CRM application including team organization and produce recommendations for the planned migration. Participate in the Gap Analysis and Gap scoping. The technical consultant must understand the current implementation from a technical perspective. The key areas to be concerned with are environment infrastructure, interfaces, integrations and customizations covering UI (forms) and business logic implementation (code module)s.
Participate in current implementation review workshops where applicable. Analyse and document all interfaces, integrations, custom code modules and forms. Identify which UI (forms) will migrate and which will have to be recreated. Address all technical questions and issues arising during the migration assessment.